We've great news for you! Now RepairDesk gives you the option to add multiple SKUs against various vendors while adding an item to inventory. In repair business it's quite common to order the same part from various suppliers. But how do you track their consumption? How can we add multiple SKU's for various suppliers to an item? To address these concerns we have rolled out our latest feature: Multiple Supplier SKU Enhancement. Excited to know more? Ok! Let's get you started! 1. Go to the Product Info section of the inventory item. 2. Click on Supplier/ Vendor SKU under the SKU field. 3. Once you've clicked on Supplier/ Vendor SKU, a pop-up screen will open. On this screen, select the Supplier from the drop-down list. 4. Enter SKU against the selected supplier and click on Add SKU button. 5. The supplier SKU for this specific vendor would be added. You can similarly add multiple SKU's for different vendors. 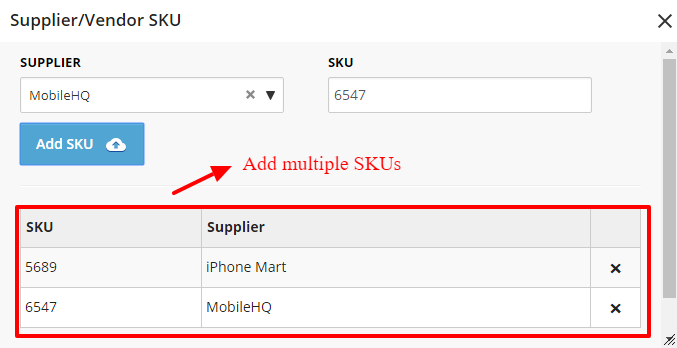 While creating a purchase order, you can add an item on the basis of Supplier SKU. 1. Select vendor from the supplier drop-down menu. 2. Click on the SKU field and type in the Supplier SKU. Once you've entered the ID, you will see item from the drop-down list. 3. Select the item, to add it to your purchase order. 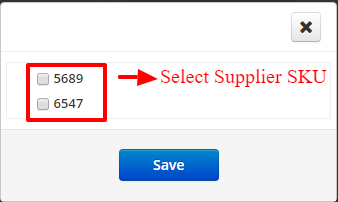 Don't forget to click on Add Row button to add this specific item to your purchase order. While adding a part to a repair issue, you can see the option Select SKU for that item if Supplier SKUs have already been added against this item. 1. Select a part while booking a repair via POS. 2. Click on Select SKU option. 3. From the list, select the Supplier SKU for this particular item. 4. Once done, click on Save. If an item is running low on stock you can view it under Low Stock Report in RepairDesk. To view multiple SKUs for an item in low stock report, just click on its SKU. You will be able to see different SKUs against this specific item in low stock report.